Traditional security distinctions are being rapidly eroded. Lines drawn between war and crime are blurring with fateful consequences for divisions between militaries and police forces. The assumption that security should be a publicly provided good has been challenged by private security providers, both domestic and international. Security is no longer (if it ever was) divided between what goes on inside one state and what occurs between states. However, our disciplinary tools for examining these security challenges remain resolutely focused on either the domestic or the international. 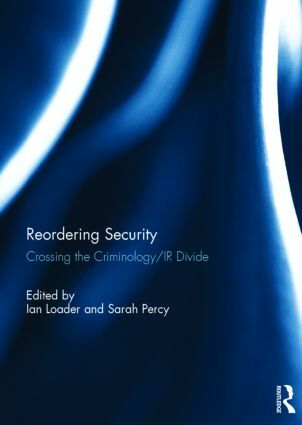 This book makes one of the first attempts to examine security from both perspectives, bringing together, and into much needed conversation, the fields of criminology and international relations. Ian Loader is Professor of Criminology at the University of Oxford, UK and a Fellow of All Souls College. His books include Civilizing Security (2007, with Neil Walker)and Public Criminology? (2010, with Richard Sparks). He is currently working on a book with the working title A Better Politics of Crime. Sarah Percy is Professor of International Relations at the University of Western Australia. She is the author of several works considering the differences between public and private security and the distinction between war and crime, including Mercenaries: the history of a norm in international relations, and "The Business of Piracy in Somalia" (with Anja Shortland, Journal of Strategic Studies).